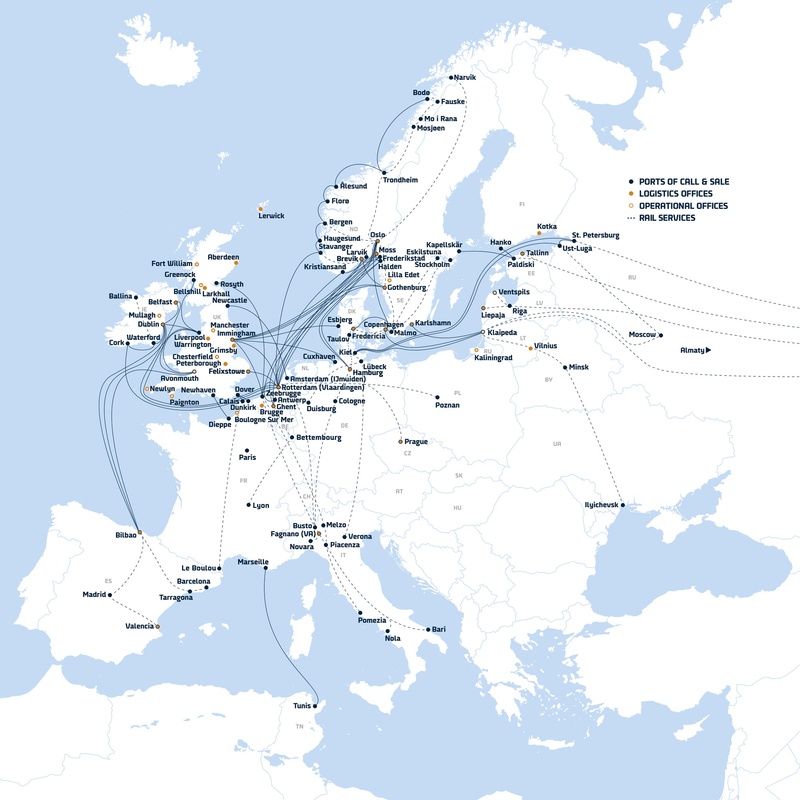 With a fleet of Ro-Ro, Ro-Pax, container vessels, and logistics routes across Europe, DFDS provides access for the metal industry to one of Europe’s most comprehensive freight shipping and logistics networks. DFDS recognises the service demands of the metals industry where manufacturers and traders alike require efficient, reliable, and cost-effective supply chains enabling their wide range of products to reach their markets on time and in perfect condition. The transportation of steel is a challenge for many transport companies and our dedicated metal team will always offer the services that fit your needs. To provide companies in the steel industry with a solution, DFDS has invested heavily in out-of-bulk equipment on trailers and in ports. This enables DFDS to quickly and reliably ship large volumes of steel across Europe. In 2016, DFDS handled 125,000 tonnes of steel for ArcelorMittal, the world's largest steel producer, resulting in an unparalleled damage rate of only 0.008%. Modern fleet of vessels consisting of Ro-Ro, sideport, and container vessels. Innovative mega cassette and equipment solutions optimising payload and cargo care. Dedicated steel terminal, cross-docking, and warehouse facilities. Special equipment handling coil plate, billets, slabs, pipes, tubes, bar, and rod. Rail and road distribution services and multimodal solutions.